Remediation Strategies were retained to undertake contamination delineation and assessment work at a logistics depot following an accidental release of a large volume of diesel. 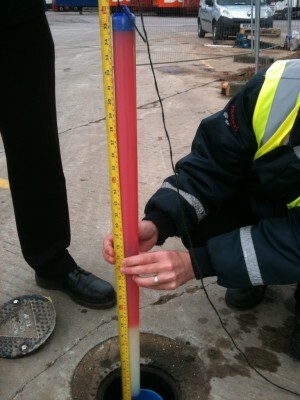 An overnight failure in a joint on a pressurised fuel pipeline had resulted in a loss of 15,000 litres of red diesel. Initial response works identified a small proportion of the diesel had entered the site drainage system and had been retained in the site oil water interceptors, whilst the remainder appeared to have soaked away in areas of soft landscaping. Emergency response measures included the removal of the diesel from the site drainage system, a full environmental clean of both the surface hardstanding and the drainage system and isolation and pressure testing of the entire fuel storage and distribution infrastructure. Following on from initial response works, Remediation Strategies Ltd were tasked with contamination delineation works to ascertain the impact of the diesel spill on the soil and groundwater beneath the site. Drilling contractors were mobilised to site and boreholes were extended radially away from the point of release. Highly variable ground conditions were encountered and diesel was noted to be present in shallow soils at the point of release, but not present in groundwater. Further drilling revealed the diesel had migrated along coarse granular prefential pathways in the shallow natural superficial deposits before reaching groundwater approximately 10 to 15m from the point of release. Delineation works were completed over a period of 6 weeks to fully encircle the phase separated diesel floating on groundwater. 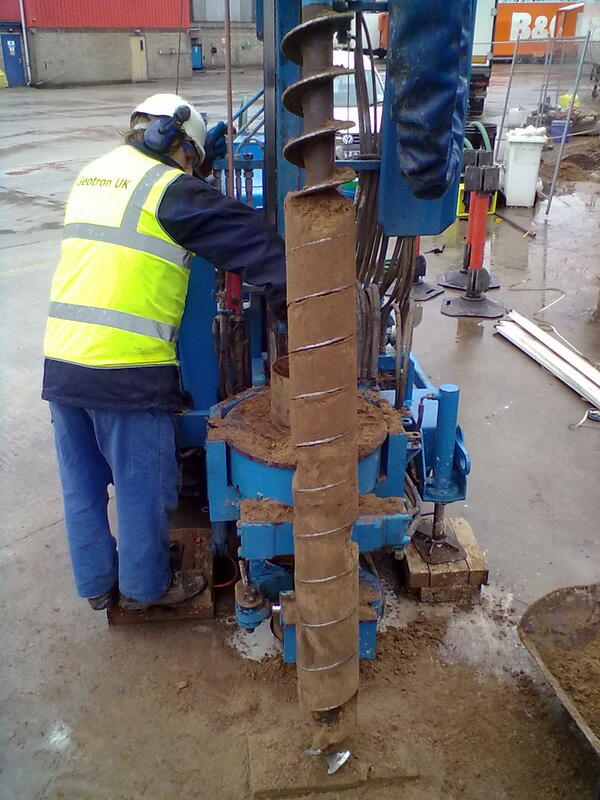 Wells were installed using 100mm nominal diameter casing, allowing product recovery works to directly follow on. Contamination delineation works were completed over a six week period, in multiple mobilisations. However, where floating diesel was identified during this period, active product recovery works were commenced.